Children (and adults if they wish!) 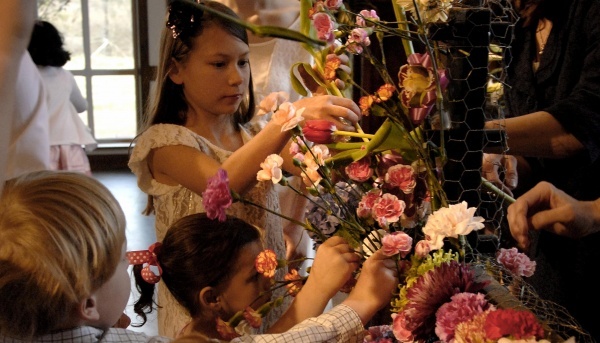 are encouraged to bring flowers from home and place them in the cross at the chancel steps. This is a beautiful way to symbolize new life and resurrection.